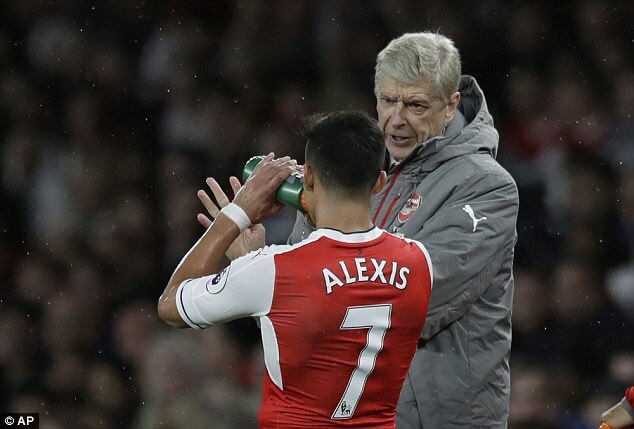 Arsenal boss Arsene Wenger has insisted that Alexis Sanchez is indeed suffering from flu which could restrict his participation in first-team training. A recent report from The Mail suggested that the Chile international could be pushing for a move elsewhere after he posted an Instagram image with the caption of being ‘sick’. However, the Gunners manager has clarified that his main attacker ‘has flu’ but he will nevertheless arrive at the English capital tomorrow. The 28-year-old is therein expected to resume training in a couple of days with Wenger maintaining his stance to not sell Sanchez this summer. Sanchez has been linked with big-money moves to both Paris Saint-Germain and Manchester City this summer, but it appears that he will honour the final year of his contract with Wenger prepared to risk him with a significant loss in terms of transfer fee. The South American forward single-handedly won games for the Gunners during certain parts of last season, and Wenger is said to hold the attacker in high regard as he looks to break the club’s Premier League drought. Arsenal have struggled to offer a strong competition for the English crown in recent seasons, and part of the reason has been the lack of firepower upfront. With Alexandre Lacazette already signed from Lyon this summer, the Gunners are in a much better position to compete for the English crown, and Sanchez’s stay remains pivotal to their chances of getting a head-start over their rivals in the opening weeks of the campaign.